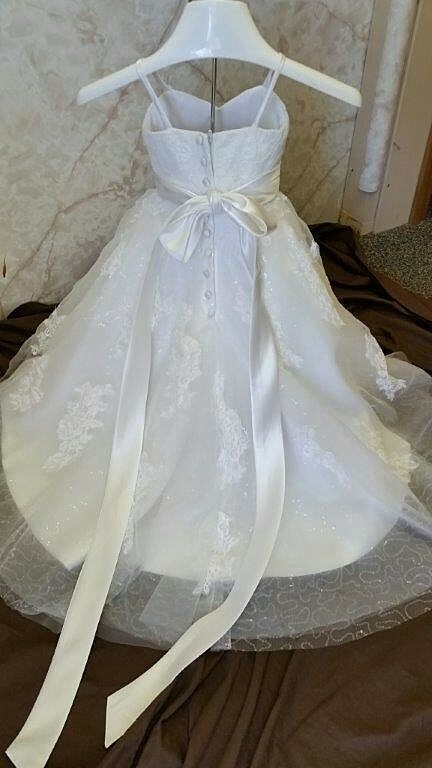 Baby flower girl dress with train. 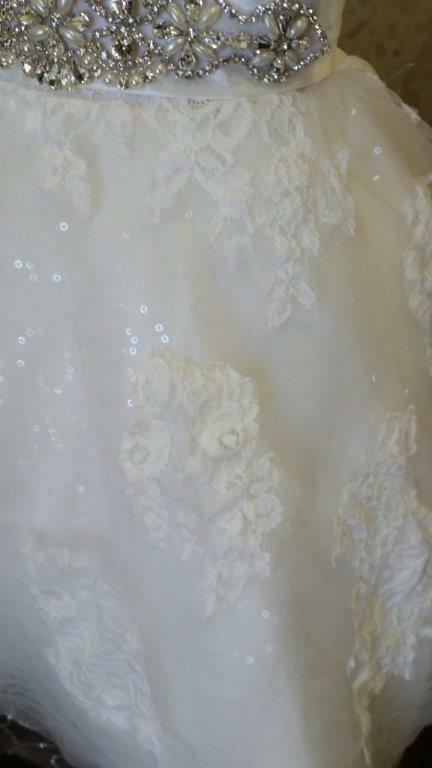 Infant, 3 month old flower girl dress with train made to match the brides dress. 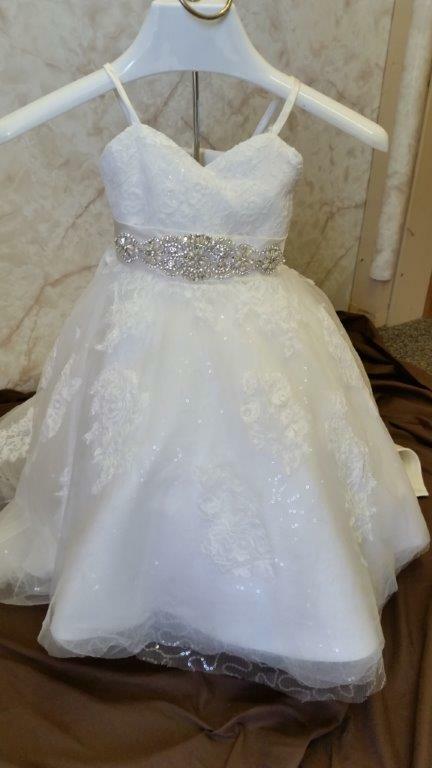 Complete little bride look with a bridal gown and matching flower girl dress. 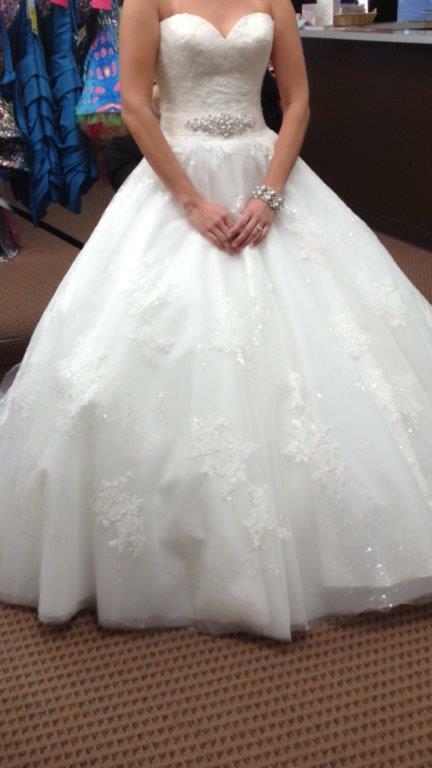 Over 366 bridal dress styles have been created, and we are continuously making more. 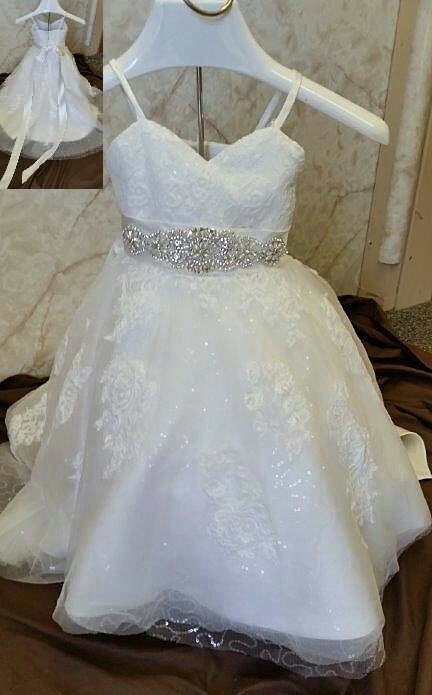 Flower girl wedding dresses complement your bridal gown. 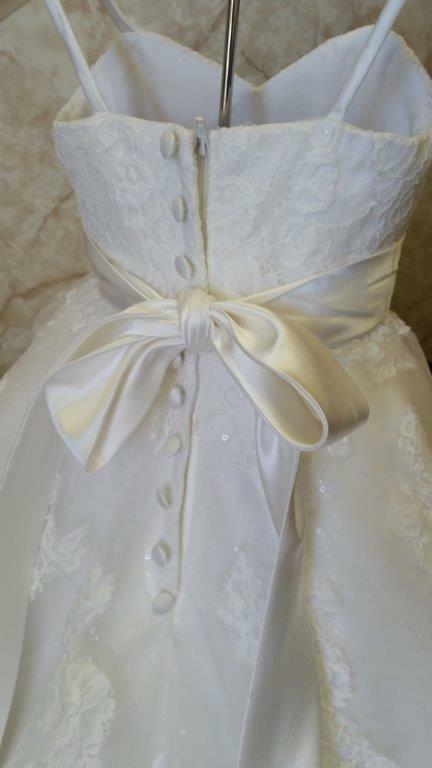 If you want a look that unifies the littlest member of your wedding party, you’ll clearly want one trait that’s similar to the brides. 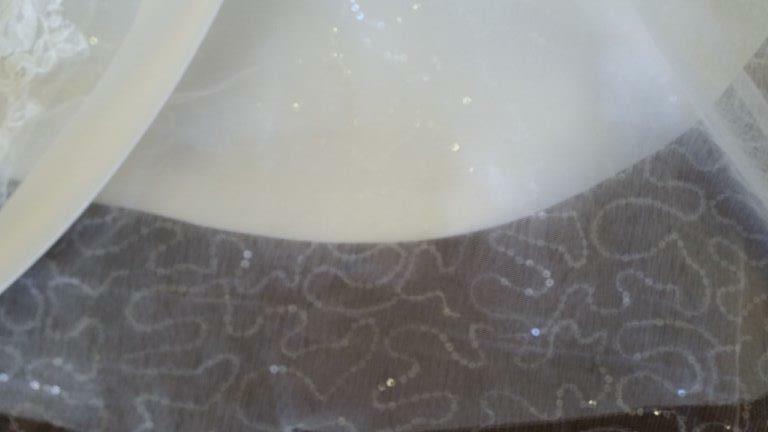 The same fabric, the same colors, the same basic pattern. Create a connection but still look somewhat unique from each other. 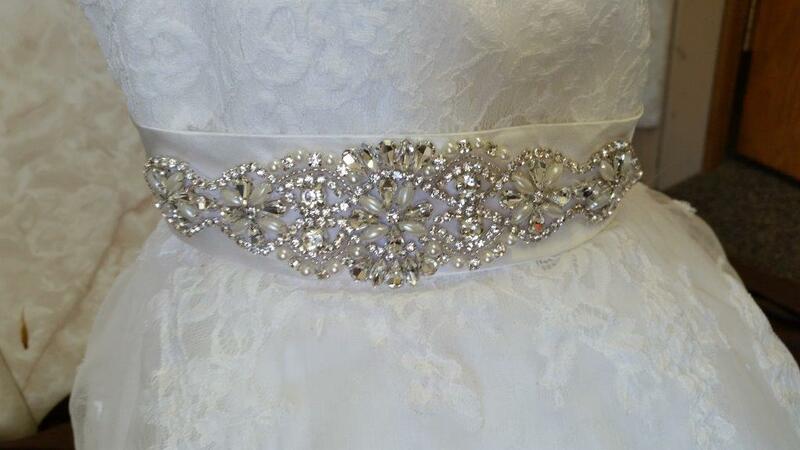 This bride is matching her sequin lace dress with crystal beaded sash. 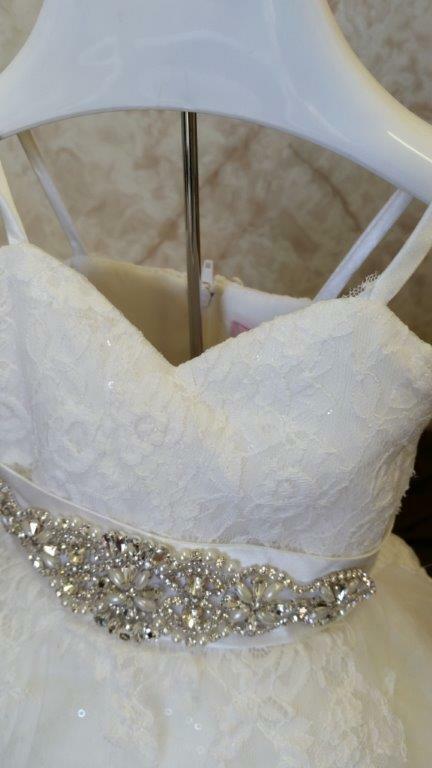 This bride wanted to match her sequin lace dress with crystal beaded sash.